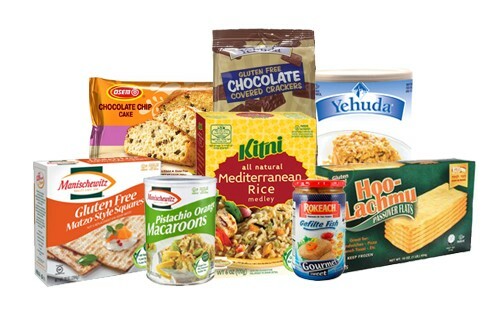 During Passover some Jews refrain from eating wheat, and grocery stores annually offer an abundance of gluten-free foods. 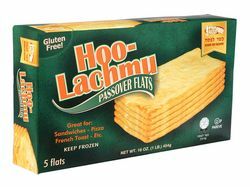 Whether you’re Jewish or not, Passover is a prime time to stock up on gluten-free goods like crackers, cookies, cakes, noodles and more. Packages labeled gluten free or “non-gebrokts” are safe, but not all Passover food is gluten free so always double check the ingredient list. 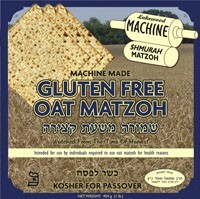 Avoid any matzah and matzo made from wheat, including most matzah meal. 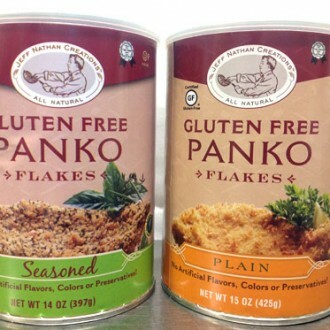 Look for specialty versions of these products with a gluten-free label. Salty meets sweet in these delectable, crunchy crackers, new for 2014. 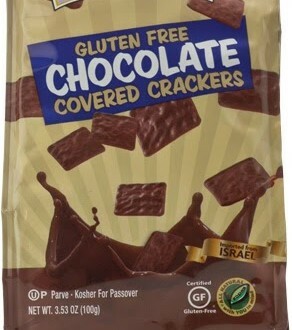 The all-natural crackers are imported from Israel, and Yehunda also carries gluten-free matzo and soup crackers. 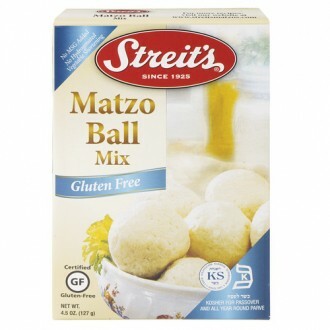 Since 1925, Streit’s has offered delicious matzo products based on Old World recipes. 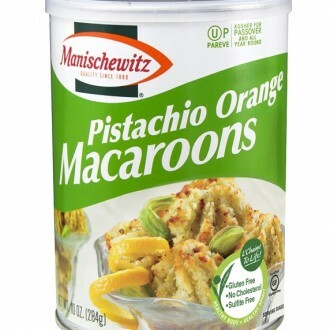 Their kosher, gluten-free matzo ball mix takes the tradition to your kitchen. 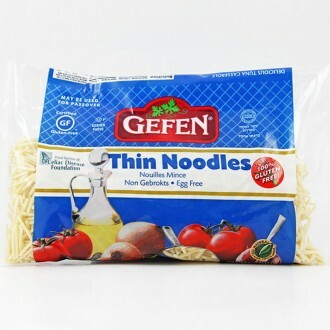 These noodles made with potato flour and tapioca starch are the perfect addition to gluten-free soups. 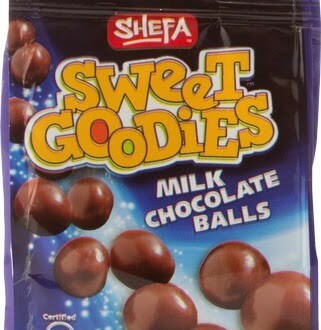 Available in milk chocolate, bittersweet chocolate and white chocolate, these sweet candies melt into a crunchy center. 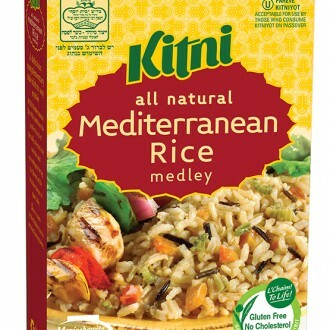 This sumptuous side dish is made with all-natural ingredients like whole grain rice, jasmine rice and flavorful seasonings. Prep a pizza or wrap up your favorite sandwich in these kosher, potato flour flatbreads from Klein’s. Made with potato and tapioca starches, the crisp cracker-texture of this matzo is good enough to eat year round. 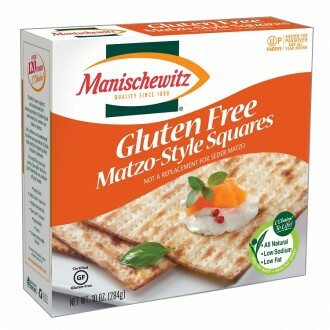 Be sure to check out Manischewitz’s gluten-free crackers and egg noodles. Celebrate with Oberlander’s wide selection of gluten-free cookies, fingers and cakes. 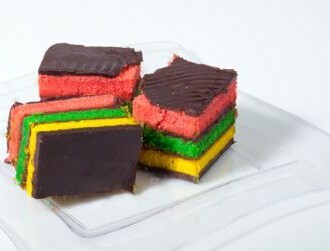 We especially love the bright colors of this rainbow sandwich. These small pasta pieces, made mostly of egg noodle dough, are the perfect additions to soups or side dishes like kugel casseroles or pilaf. 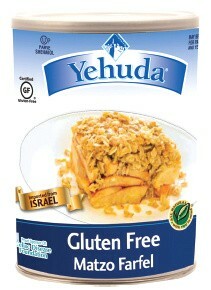 Also keep an eye out for Yehuda’s Gluten-Free Matzo-Style Squares in toasted onion and original flavors. Indulge in these gluten-free macaroons, available in 14 different flavors like Cookies ‘n Cream, Cappuccino Chip, Rocky Road and the new Pistachio Orange. 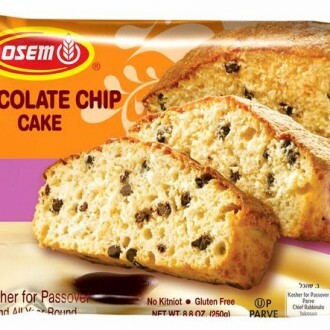 Osem offers moist gluten-free cakes in four varieties: pound cake, chocolate chip, marble and walnut. Skip the prep work and enjoy premade matzo balls from Frankel’s Homestyle Products. Created by New York City chef Jeff Nathan of Abigael’s on Broadway, these flakes add flavor and texture to any dish. Certified gluten-free, these square matzohs are made from oats that are harvested, de-hulled, cleaned and ground under orthodox rabbinical supervision. They are appropriate for use at Seder, a Jewish ritual feast. 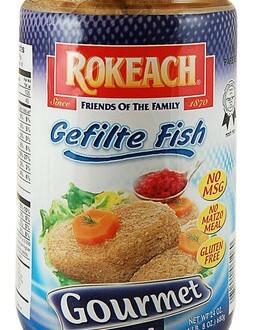 Another beloved Passover dish, gefilte fish is often made with matzo meal, but is available gluten free from Rokeach.